Jana Grauberger has been elected to serve a three-year term on the Women’s Energy Network National Board of Directors. Jana will be President-Elect in 2019, and then she will serve as President in 2020, and remain on the board as the Immediate Past President in 2021. Jana Grauberger is an oil and gas lawyer with more than 20 years experience. Clients turn to her as a trusted advisor in connection with their contract negotiations, regulatory advice and appeals, litigation, and arbitration related to onshore and federal offshore upstream and midstream projects and facilities. Jana has represented clients in negotiating a wide variety of onshore and offshore contracts, including purchase and sale agreements, farmouts, participation agreements, joint operating agreements, production handling agreements, platform use agreements, gathering agreements, connection agreements, construction contracts, transportation contracts, and decommissioning agreements. She also represents clients in connection with regulatory matters involving Department of Interior agencies the Bureau of Ocean Energy Management (BOEM), the Bureau of Safety and Environmental Enforcement (BSEE), and the Office of Natural Resources Revenue (ONRR). 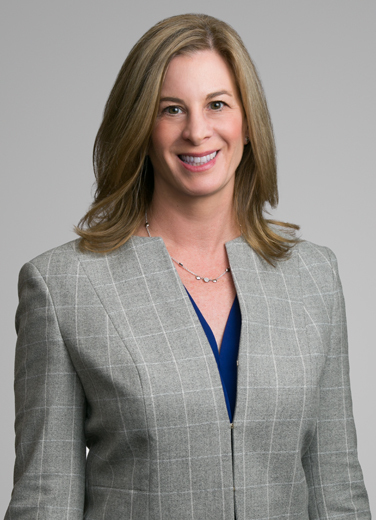 Jana has served as a trustee for the Rocky Mountain Mineral Law Foundation (RMMLF), she co-chaired the RMMLF Short Course on Federal Offshore Oil & Gas Leasing and Development in 2018, and she also co-chaired a RMMLF Federal Offshore Regulatory Enforcement seminar in 2016. As a litigator, she practices before state and federal district and appellate courts in Texas and Louisiana and has 20 years of experience representing clients in connection with a wide variety of oil and gas matters, including royalty litigation, complex and multi-contract disputes, indemnity litigation, construction, installation, and product warranty and damages disputes, and arbitration matters under American Arbitration Association (AAA) and United Nations Commission on International Trade Law (UNCITRAL) rules. She also has handled dozens of appeals of BOEM, BSEE, and ONRR orders to the Interior Board of Land Appeals (IBLA) concerning issues such as royalties, transportation deductions, supplemental bonding, and decommissioning of federal leases and pipeline right-of-ways (ROWs). Prior to joining Liskow & Lewis, Jana was a law clerk to the Honorable Walter F. Marcus, Jr., Associate Justice, Supreme Court of Louisiana. Before attending law school, she worked as a television reporter for KPLC-TV in Lake Charles, Louisiana. Drafted and negotiated construction and operational upstream and midstream contracts, including operating agreements, production handling agreements, platform use agreements, pipeline construction agreements, connection agreements, and gathering agreements for multiple deepwater Gulf of Mexico projects. Advised oil and gas and pipeline companies with respect to assignment of onshore and offshore assets. Drafted and negotiated operating agreement for onshore natural gas carbon dioxide separation facility. Advised multiple oil and gas and pipeline companies in connection with bonding and decommissioning obligations for federal offshore leases and pipeline ROWs. Represented companies in connection with BSEE decommissioning orders, including litigation between companies concerning liability for decommissioning costs and administrative appeals of supplemental bonding and decommissioning orders for leases, pipeline ROWs, and rights-of-use-and-easement (RUEs). Represented a Fortune 100 company in connection with lawsuit involving interpretation of indemnity obligations in a pipeline assets purchase and sale agreement. Arbitrated a series of warranty and construction claims in connection with a deepwater Gulf of Mexico floating production facility. Represented multiple oil and gas companies in connection with warranty, construction, and installation claims involving deepwater Gulf of Mexico facilities and production equipment. Drafted crude oil and gas gathering agreements and related contracts. Represented multiple oil and gas and pipeline companies on day-to-day operational matters involving BOEM and BSEE, including qualification, general and supplemental bonding, assignments of leases and pipeline ROWs, responding to and administrative appeals of Incidents of Noncompliance (INCs), issues related to RUEs, unitization, Oil Spill Financial Responsibility (OSFR), Oil Spill Response Plans, and Freedom of Information Act (FOIA) requests and responses. Handled federal offshore royalty appeals of orders issued by ONRR to the IBLA and advised clients with respect to a wide variety of royalty issues. “Third Party Access to Infrastructure in the United States,” 4 LSU Journal of Energy Law and Resources 293 (Spring 2016) (republished in Energy Law Advisor, Vol. 10, No. 2 (July 2016).